What’s hot & What’s not…. Winter in other parts of the world usually means jumpers, woollies and heaters, but here down under especially in Sunny Queensland it still means warmer temperatures and outdoor weddings. 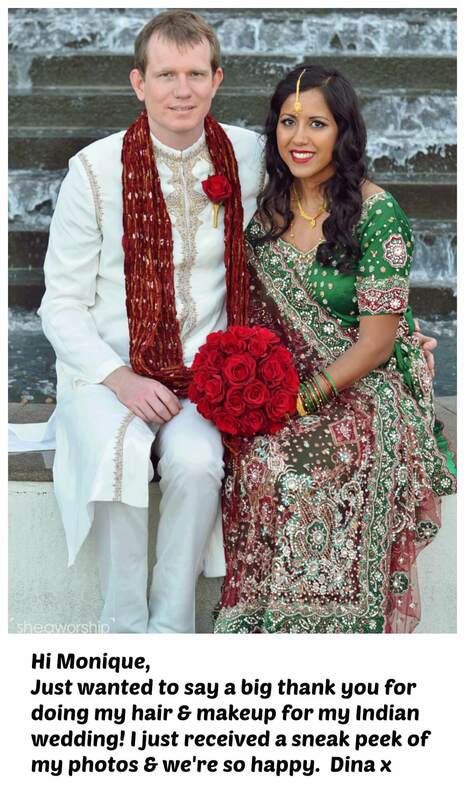 It’s becoming a very popular wedding season. To help you pick out the right flowers for the season, we’ve listed what’s hot and what’s not for floral designs. 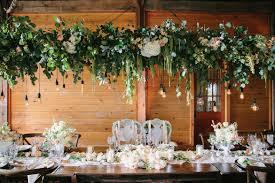 -Hanging flower centre pieces and flower walls are so incredibly beautiful and a guaranteed show stopper leaving a lasting impression that your guests will talk about for years to come. 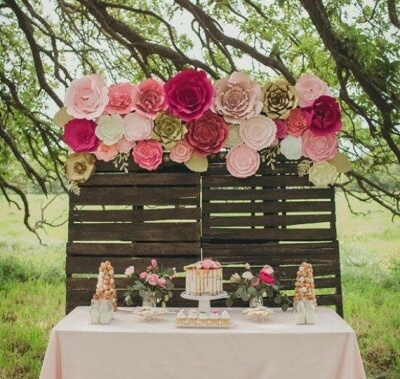 Flower walls are also amazing for backdrops when you get your photos taken. -Earth Tones. Stick with neutral tones that are inviting yet more muted. This has had a huge resurgence with the Boho brides along with green leafy bouquets. 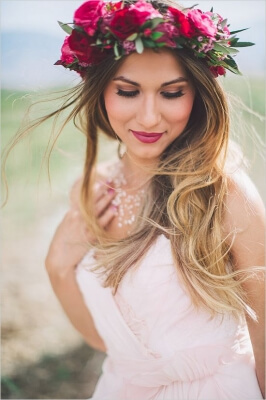 -Flower crowns come in numerous styles, from striking bountiful boho chic to simple, subtle and purely elegant. -Silk Ribbon. 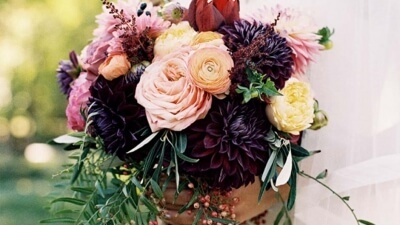 Add a soft colored ribbon to your bouquet if you want to give it that romantic vibe that goes so well with Winter. 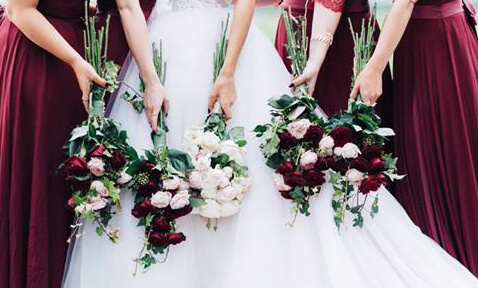 -Traditional white, soft pink and cream colors are not so popular with the Winter bride opting for more gothic romance and charm with a dark coloured palette of winter greens, hot pink & dark burgundy. 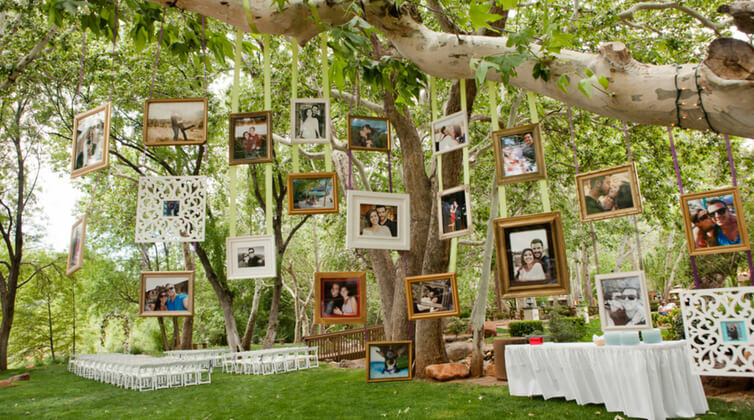 -DIYing your wedding flowers. Seriously, it takes forever, it’s a pain, flowers can wilt and it’s more expensive than you think. Don’t do it unless you know what you are doing and have a practice run! 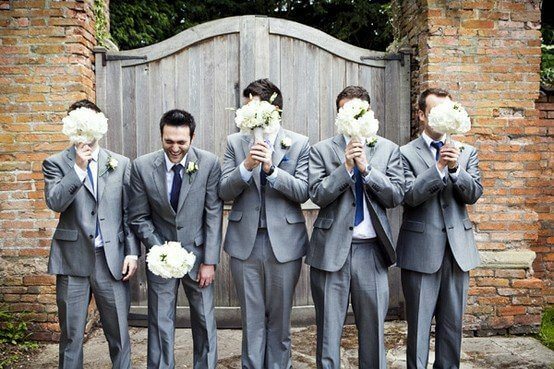 -Drenching your wedding church in flowers. It isn’t a thing anymore with more brides opting for more extravagant statement pieces at the Reception. 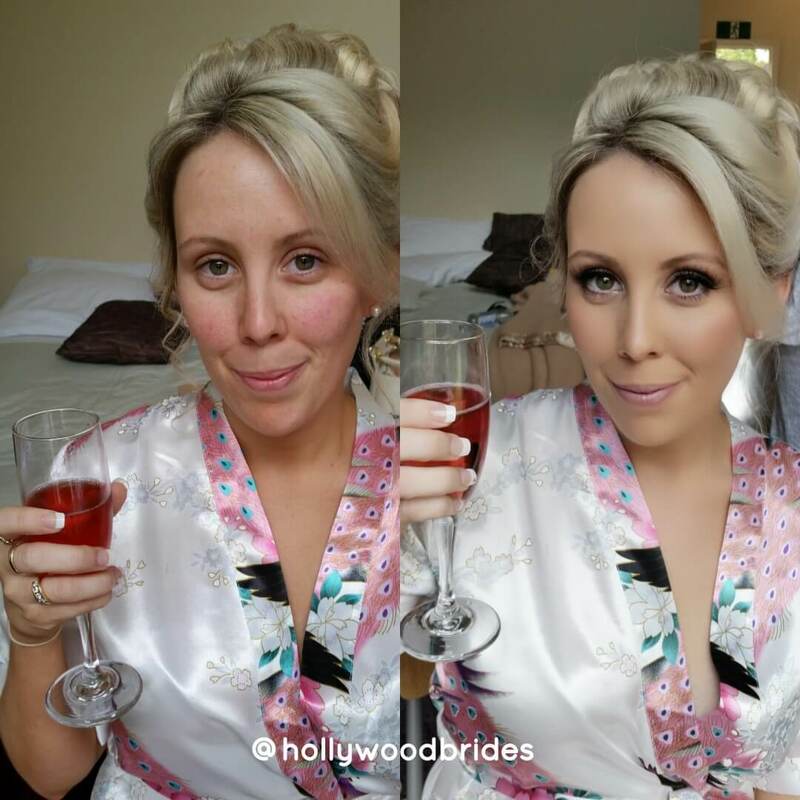 Splurge on things that matter more like your wedding hair and makeup, instead of church flowers that add very little to your special day. There you have it ladies! A taste of what to do and what to avoid with your wedding florals!